In an interview with The Verge, Amazon’s SVP of devices and services, David Limp, has revealed how many devices have been sold that have Alexa built into them. Apparently, over 100 million speakers, smartphones, gadgets and other pieces of hardware have been sold around the world featuring Amazon’s virtual assistant. 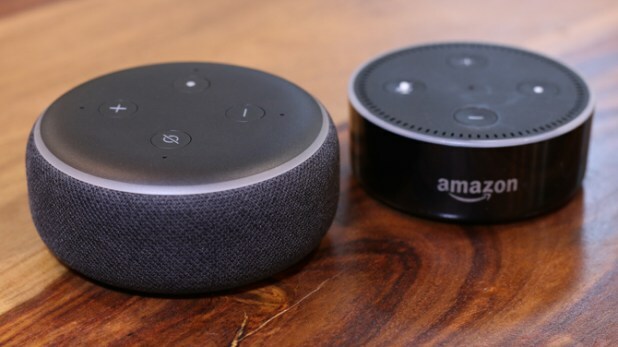 Amazon has been pretty tight-lipped about stating sales of its products in the past, but one executive has kindly offered up a tasty morsel of information in regard to devices with Alexa on board. According to David Limp, the company’s SVP of devices and services, more than 100 million products have been sold that offer Alexa’s virtual assistance. Unfortunately, no specifics were given in the executive’s interview with The Verge as to which products had sold what quantities. However, Limp did mention that the Echo Dot had sold out for the rest of January; that’s likely to be a massive amount of Amazon-branded smart speakers. The 100-million figure includes third-party hardware that utilizes Alexa, such as the Huawei Mate 9 and the HTC U11 smartphones. However, there are some other interesting statistics offered in The Verge piece: Over 150 different products have Alexa already built into them and there are over 28,000 smart-home gadgets that can utilize Amazon’s virtual assistant. These devices are made by more than 4,500 manufacturers, and apparently Alexa has access to more than 70,000 skills. These are fearsome numbers for Amazon to boast about, just in time for an appearance at CES, where it’s likely Google will offer up something competitive in return.